Getting people to respond to messages about your projects can be tough. It seems like people are busier than ever. My comms really have to stand out to get people to take action. And we need them to take action. Projects don’t just happen because someone puts together a little timeline and some pretty slides about the future of the business. Projects happen because people like us do the work. And that includes communicating and embedding the change to try to ensure the best result for the business. I’ve been thinking a lot recently about ways in which we can make communications more engaging. 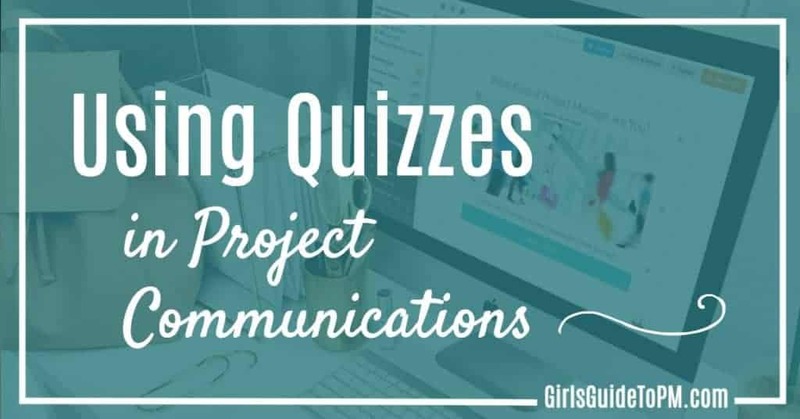 I’ve done a ton of research on consumer tech trends, and that’s helped me see that there is one easy thing we can do to bring a bit of fun into project comms: quizzes. Marketers have known for a long time that including a call to action in messaging gets results. You can do the same in your emails about your project, but only if it’s a really simple question, with very short, template-able answers. Voting buttons work because they make it super easy for people to get back to you with their response. When people have so many mails, they’ll respond to the easy ones. You can’t get easier than a click. I’ve had good results from this technique. Don’t over use it, but it is a good way to drive engagement and get responses to mails. But what if your email software doesn’t have voting buttons? Or you need more flexibility in the answers? Then a ‘real’ quiz could be the answer. A couple of years ago I ran a quiz on a large software project. It involved people having to read the project’s intranet site and look for an image I had scattered there. They then had to reply to me with the names of the pages where they found the picture. The winner got a box of chocolates and his picture in the next project newsletter. It was more interesting than it sounds, I promise. It made people read the intranet site, so they picked up information about the project. It gave me something to write about in the project newsletter: both announcing the quiz and then announcing the winner. That supported the act of having the newsletter and meant that I wasn’t just communicating boring software changes. It made someone happy because he got some chocolates: that’s one satisfied stakeholder at least! It made the project seem like we were having fun, and that positively impacted team morale, and the willingness of stakeholders to want to take part in it. But intranets aren’t really the best place to do that kind of thing anymore. Tech has moved on dramatically, even in the last few years. There are better ways to run quizzes. Let me show you. I had been looking for a quiz tool for some time: I even bought one and then realised it couldn’t do what I wanted so I have never used it. Then the Interact team got in touch and asked if I’d like to try theirs. I wrote a book about how to use , so I am not one to turn down the chance to play with new software! I said yes! To test it out, I built the What Kind of Project Manager Are You quiz. (Have you taken it yet?) It’s loosely based on some strategising I was doing at the time on project management career paths. I was pretty happy with how it turned out. I think the Interact interface is easy to use. I didn’t have to use the help function. It was easy to use one of their templates to configure my own quiz. But that was a ‘fun’ quiz. How is that at all relevant to our work as project managers? ‘Get to know you’ quiz for project kick off, where you ask questions like, “Who has skied in the Alps every year since 1985?” and the possible answers are the names of people in the team. A general knowledge or pop quiz just for fun. Project management questions, although whether people would consider this a fun quiz or an exam prep test, I’m not sure! This type of quiz has more of project-requirement feel to it. What do I mean by that? I mean that it’s part of a bigger piece of project communication that is directly tied to your deliverables. Here are some examples. Gauging the level of understanding of a user group. A quick quiz can tell you what level your users are at already. That can help you tailor change management activity and training for the rest of the project. Bonus points if you run the quiz again at the end of the project and track how much they have improved. Gathering information about preferences. This is a more advanced use of quizzes than the voting buttons allows, and the logic of Interact would let you track responses across multiple parameters. For example: “What kind of training would you prefer?” If the user clicks the “online training” response, they get presented with a question relevant to online training. If they choose “classroom training,” their next question is about that. This could be useful for taking the temperature of a user group during change management planning. Getting stakeholders to self-select into buckets for later communication. This can be helpful if you aren’t sure who you need to involve: people will tell you what they want to hear about. While that shouldn’t be the only stakeholder analysis you do, it’s a start. You can do both engagement and messaging quizzes with Interact. Do You Need A Prize? In all the quizzes I’ve done with project teams, and I can think of 3 that have been the most successful, I had a prize for two of them. The third was the ‘fun facts about the project’ quiz. I used this at the end of the project as part of our team celebration. Each member of the core team got a gift at the time anyway, so I didn’t feel it was necessary for the quiz itself to come with another prize. Sometimes, the fun is in the taking part and the recognition of being the winner. Don’t offer a prize if you don’t think it’s appropriate. At work, it’s not always necessary. 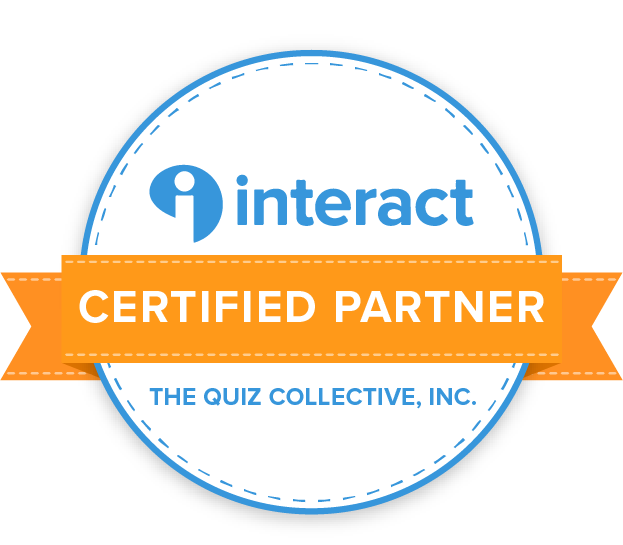 Interact, and other quiz tools, are web-based. You are asking people to answer questions, and possibly leave their email address, in a tool that’s hosted online. That may not align to your IT security standards, so check before you spend any time creating a quiz online. 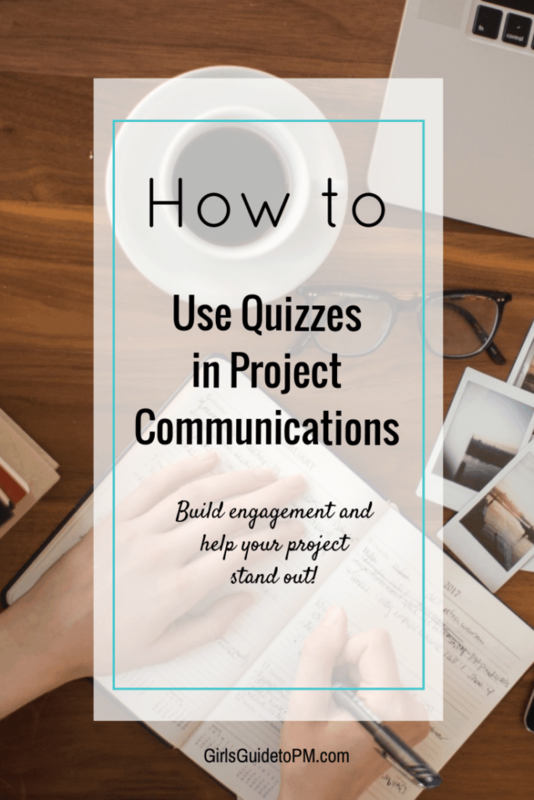 Do you think using quizzes as an engagement tool on projects is a weird idea? I’m all for trying something new and testing out new ways of getting my project in front of the people who matter. If a quiz is the way to do that, so be it. But… it’s not a conventional project management tool, so let me know what you think! Filed Under: Be Productive Tagged With: This article contains affiliate links.